Sputtering can be enhanced in a variety of ways. With so many different deposition methods available today, the market has become somewhat saturated. Furthermore, because of the rapid advancement in technology, there are new ways to optimize material deposition, therefore expanding the industry in even more ways. Now, one of the most common deposition processes comes from what is known as sputtering. A sputter deposition system is efficient, quick, and is know for its high quality output. Here is a breakdown on how one can enhance the production of this process. There are numerous ways that you can enhance the process of sputtering. One of the most common ways to do this is to use what is known as a magnetron sputtering system or an ion beam sputter deposition. The main difference between this and a basic sputtering system is that a magnetic field is being utilized near the target area. This field causes the electrons to travel and spiral along flu lines near the target rather than it being attracted towards the substrate. 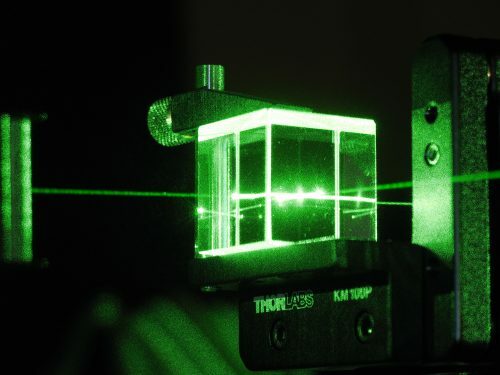 One of the advantages of this is that the plasma is “stuck” to an area near the target, without causing any damage to the thin film that is being formed. Remember, electrons will travel for a longer distance which increases the possibility of further ionizing Argon atoms. This tends to create a stable plasma with a high density of ions. More ions means that there is going to be more ejected atoms from the target, which in turn will increase the efficiency of the entire sputtering process. Denton Vacuum, LLC can help you with all your vacuum metalizing needs. For more information, visit them online today. Ground power units are vital in supplying parked airplanes enough power to maintain electrical function. If you’ve ever wondered what type of power an aircraft uses when it’s docked at the airport stand, then this article will help provide you with the necessary information to better understand how these planes receive the electrical current needed to function. Now, normally, the aircraft will generate power on its own. 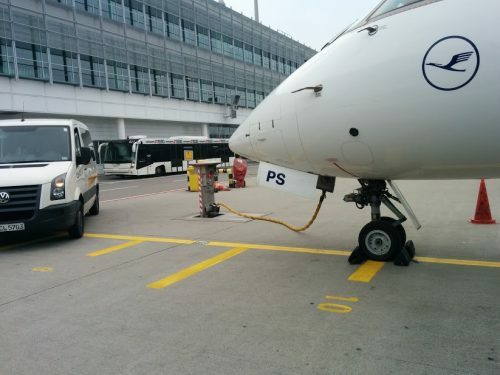 But, when the aircraft is parked with the engine switched off, the power provided by the airport will be needed in order to maintain electrical functions. The connected power ranges but is usually 115 volts at 400Hz and is called ground power. A fixed ground power unit is the supplier of 400 Hz power that utilizes a permanently installed fixture for use on a parked aircraft. The number of ground power units depend on the aircraft size. The larger the plane, the more units will be needed due to the high demand of electrical current. The conversion process of the mains power to 400 Hz power is usually done in a centralized location or by frequency converters. Note that smaller airfields use a portable power pack rather than a fixed unit due to the lack of a centralized system. Now, when a centralized system supplies power, it’s usually a large quantity. The power is converted at a central location and then 400 Hz is then distributed to the aircraft. This process is crucial to the healthy functionalities of a power supply system. In point of use, the main power is taken close to the aircraft, and the conversion process is carried at the point of use. Start Pac can help you find the perfect portable battery pack for your specific needs. For more information, visit them online today. By Eric Auchard FRANKFURT (Reuters) – Tens of millions of vehicles sold by Volkswagen AG over the past 20 years, and some current models, are vulnerable to theft because keyless entry systems can be hacked using cheap technical devices, according to European researchers. Computer security experts at the University of Birmingham have published a paper outlining how they were able to clone VW remote keyless entry controls by eavesdropping nearby when drivers press their key fobs to open or lock up their cars. Vehicles vulnerable to this attack include most Audi, VW, Seat and Skoda models sold since 1995 and many of the approximately 100 million VW Group vehicles on the road since then, the researchers said. By Rory Carroll SAN FRANCISCO (Reuters) – Electric vehicle charging companies are calling for independent oversight of the $2 billion Volkswagen AG is required to invest in clean car infrastructure, saying VW should not have the power to shape the nascent electric car charging space. The German automaker agreed to invest the money, which includes $1.2 billion nationally and $800 million in California, as part of its penalties for equipping hundreds of thousands of its diesel vehicles sold in the United States with software designed to cheat tailpipe emissions tests. While charging station companies called the money a potential “game changer,” they worry that if it is misspent, it could hurt competition. By Nate Raymond NEW YORK (Reuters) – The U.S. government said on Monday it plans to auction over 2,700 bitcoins that were forfeited during several cases, several of which stemmed from investigations of the online black market known as Silk Road. The U.S. Marshals Service said that the online auction would be held on Aug. 22, and that potential bidders must register by Aug. 18.